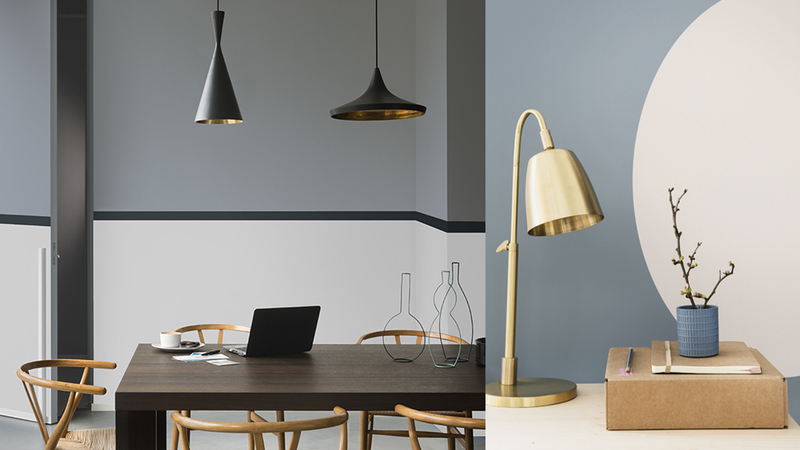 I have completely fallen in love with the Dulux colour of the year: Denim Drift. 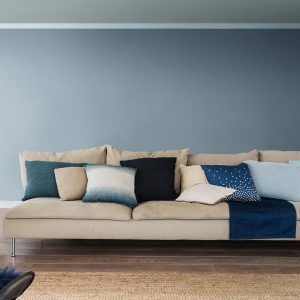 I have loved the inky blues over the past couple of years and I am looking forward to introducing this grey shade of blue to my room designs this year. As Denim Drift is part of a palette of 10 different tones, they will work alongside all different shades of blues. This colour will also work with so many other combinations. Denim Drift and White will give the space a fresh, airy feel, whilst combining it with greys will give the room a modern and moody tone! This blue will work well with contrasting patterns, this can be through wallpaper, furniture pieced or accessories. 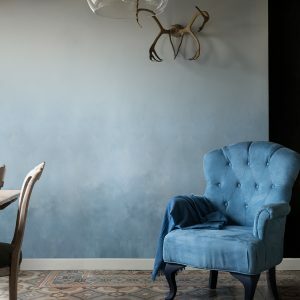 Paint the wall with an Ombre effect, graduating to a lighter shade to the top of the wall, making the room appear bigger. Mix it up with Metallics for a luxurious look. 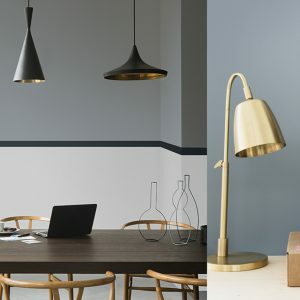 Metallics have been a big thing for the last two years, so picking up Metallic pieces couldn’t be more obtainable right now. “A beautiful, timeless and versatile grey-blue in Denim Drift that takes on a different characteristic depending on how it’s used, perfectly capturing the mood of the moment and embodying our lives for 2017. Life in a new light is its driving force” shares Dulux Colour and Design Trend Expert.